I am a breast cancer survivor, the second in my family. I started making felted accessories after my cancer. I enjoy making beautiful things and I also teach others to make felt work too. 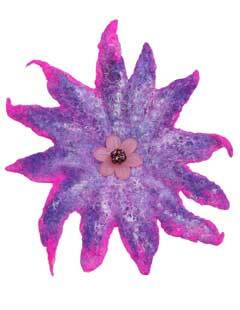 The felted flower pin is one of the items I make.